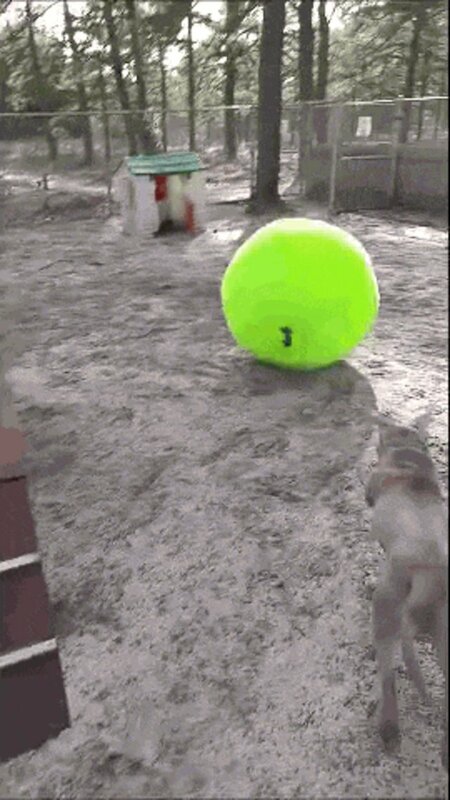 What do you when you're a dog trying to catch a tennis ball that's bigger than you are? 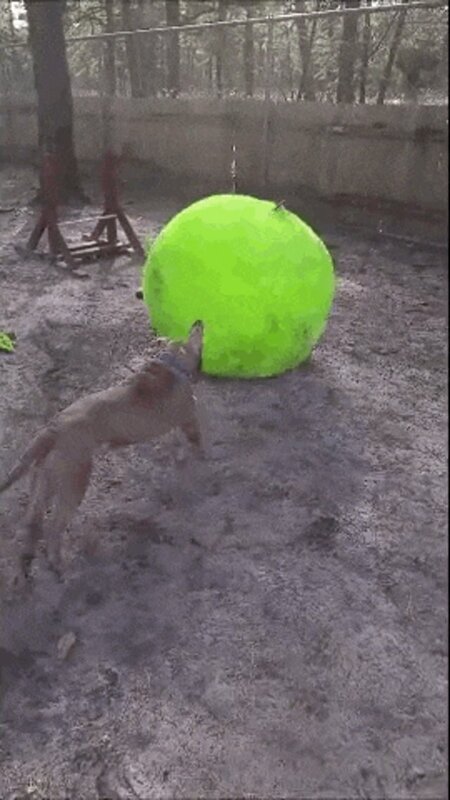 You act exactly as you would with a normal-sized tennis ball - get really excited and try to fit the whole thing in your mouth, naturally. 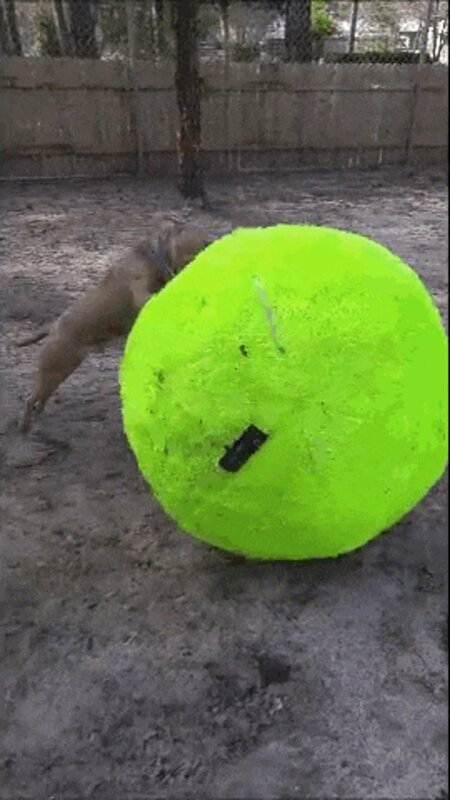 When the Associated Humane Popcorn Park Shelter (AHPPS) received this oversized tennis ball as a gift from a local pet supply store, one of the volunteers brought out two of the shelter dogs, Maddox and Benson, to play with the new toy. Maddox couldn't have been happier to have a ball roll on top of him. No matter how hard he tried, Benson couldn't fit the ball in his mouth. "Come on! Can't you pick it up?" the woman in the video asked Maddox. On the contrary, the ball picked up Maddox. While the dogs look as happy as can be now, Maddox and Benson were both rescued by the shelter from unfortunate situations. Benson came to the shelter as a puppy after being rescued from an abusive home. Maddox's previous owner brought him to the shelter after deciding he could no longer care for him. Luckily for these two, they've gotten plenty of attention and care from the team at AHPPS, and they've learned that humans can be loving to dogs. They've also gotten more than many dogs could ever really hope for: a massive tennis ball. 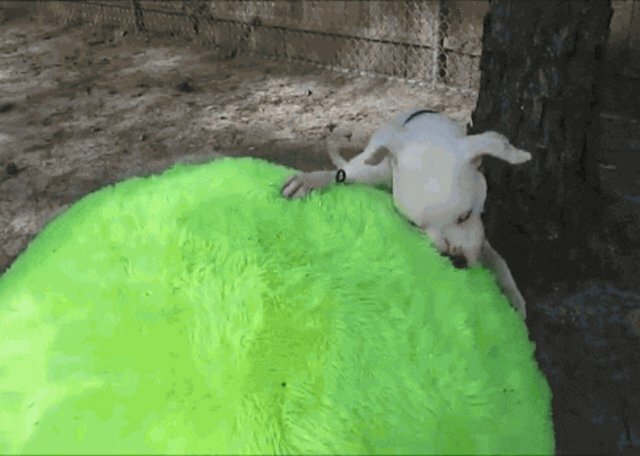 "It's all dirty," the woman told Maddox, proving that it doesn't matter what size ball you have, your dog will find some way to make it disgustingly covered in mud.